Training in service companies is about to undergo a revolution. The widespread diffusion of broadband Internet access will make more training available for more people, more conveniently. Want an example? Omega Plumbing’s Allan Ferguson brought in Charlie Greer to conduct a training class for his plumbers. Omega Plumbing is located in Sydney, Australia. Charlie is based out of Fort Myers, Florida. Charlie trained a group of plumbers on the other side of the world using video conferencing from his personal computer. Charlie was projected on the wall larger than life in Sydney, while he watched the audience on his screen. This may sound miraculous (and it is), but it’s no longer all that unusual. Well, it’s no longer unusual outside of the service trades. With exceptions, the service trades are likely to be among the last to embrace changes in training technology. It won’t be the first time. Twenty years ago I ran marketing for the geographic division of an HVAC manufacturer. While I was based in California, I spent a lot of time attending meetings in Texas. During one of the plane flights it struck me that the entire notion of a geographic division was an anachronism. It was a relic of the days when people traveled by train and getting from North Texas to Northern California required days, not hours. Eventually, this was recognized by top management. The geographic divisional offices were closed. Fewer people provided better support from a central location. Just as the industry was slow to recognize the impact of changes in the economics and availability of travel technology, we’re probably going to be slow to accept changes in training technology. However, there are exceptions. One of the exceptions is the new Service Nation Alliance. 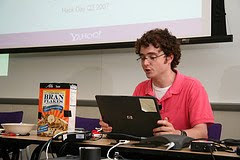 Broadband has made it personal computer based, multi-user video conferencing feasible. Small groups of contractors meet monthly to share financials, hold each other accountable, solve mutual problems, and push each other to higher levels of performance. The alliance is also using multi-user video conferencing to create support groups of managers and contractor action teams to focus on best practices. While contractors think twice about flying service managers across the country to meet with the service managers of non-competitive companies, it’s virtually free online. The office staff of most contracting companies seldom receive much formal training. Yet, the CSR is the public face of the company. He or she is the first person the prospective customer engages. If there’s any position that merits training, it’s the CSR. Thus, Service Nation is using distance learning training so that CSRs, for example, can receive training at the desktop through short training modules that contain specific learning objectives and post-module testing to ensure the learning objectives were realized. Through the alliance’s learning management system, owners can easily track the progress of each employee. Many contractors have attended a webinar. 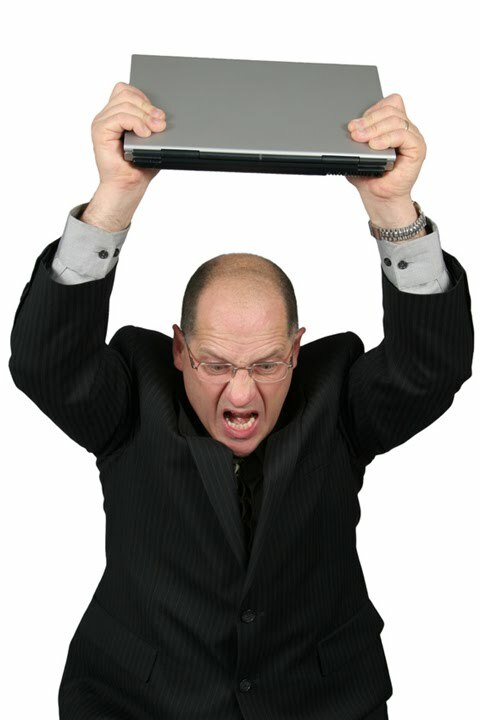 Most webinars today are glorified sales pitches, disguised as an online seminar. Service Nation is using webinars to reinforce and review their boot camp training class, giving graduates an constant refresher without leaving the office. Service Nation is bringing in top consultants, contractors, and vendors to offer short training clips for contractors to use in service meetings. It gives meetings an extra kick and another voice than the boss to reinforce the message. The proliferation of smart phones and tablet computers is further revolutionizing the training arena, making it possible to easily deliver training resources to field employees. Will these changes in the technology of learning eliminate the need for face-to-face meetings and in-person training classes? Hardly. There will always be a need for people to interact and converse. It’s built into our DNA. However, the evolving technology of learning will allow us to train more people with better systems for less money. While it may take longer for the majority of the organizations in the service trades to apply new technology than other industries, it will happen. In fact, it’s already begun. For more information about the Service Nation Alliance, call toll free 877.262.3341. Year-end tax planning......what should we do? Congress adjourned in late September without a bi-partisan agreement to extend the tax cuts before the election; apparently many members of Congress were more concerned about saving their own jobs than they were about coming to an agreement on these important tax laws. And important they are: according to the Wall Street Journal, if the existing tax cuts are not continued, taxes will increase for more than 150 million Americans. This issue is now left to the lame-duck session of Congress. The Bush tax cuts aside, here’s a look at what is clear at this point. This popular industry tax credit expires on December 31, 2010. It allows a taxpayer a 30% tax credit on the installed cost of qualifying equipment (high efficiency furnaces, boilers, water heaters, air conditioners, heat pumps, and wood stoves and main air circulating fan). This credit applies to existing principal residences only. The maximum allowable credit is $1,500 so the credit is maxed out at installation costs of $5,000 and above. This is not an annual credit. If you took any credit in 2009, that amount must be subtracted from the $1,500 limit to see what, if any, credit amount is available for 2010. This provision is not expected to be extended even if the Bush tax cuts are. Typically, an asset purchased must be depreciated (written off) over a number of years. Section 179 of the Internal Revenue CodeThis deduction allows a business to immediately expense qualified property in the year it is bought. The Section 179 deduction limits have been increased for 2010 and 2011. The maximum deduction is now $500,000 and the maximum investment limit is now $2,000,000. Any asset purchases in excess of $2,000,000 will reduce the allowable Section 179 deduction dollar-for-dollar from the $500,000 limit. The allowable Section 179 deduction is limited to the taxable income of the business. Any amounts not deductible in the current year may be carried forward. The allowable deduction for luxury autos (i.e. SUVs) is $25,000. The remaining cost is depreciated over five years. The 50% bonus depreciation provision that expired at the end of 2009 was re-instated for 2010 only by the Small Business Jobs Act passed by Congress in late September. This allows a taxpayer to write off an additional 50% of the adjusted basis of the property placed in service during the year. Again, this revived provision expires December 31, 2010. First year depreciation limits for luxury autos are capped at $10,96011,060 (including the bonus depreciation). First year depreciation limits for light trucks and vans are capped at $11,06011,160 (including the bonus depreciation). The Work Opportunity Tax Credit allows a business to claim a credit equal to 40% of the first $6,000 of wages paid to employees in a targeted group. The employee must work over 400 hours during the year. Otherwise, the credit is reduced to 25% for those who work at least 120 hours during the year. The 12 targeted groups include qualified veterans of service in the U.S. Armed Forces, vocational rehab individuals, ex-convicts and disconnected youth. For the complete list of targeted groups, go to the U.S. Department of Labor website (www.doleta.gov). This program is administered at the state level. This credit expires on December 31, 2010 as well. If you are an “S” corporation that previously was a “C” corporation, the built-in gains (BIG) tax holding period for 2010 is seven years. That means any conversions before 2003 can now sell appreciated assets and avoid the BIG tax (35%). Recent legislation has decreased the holding period to five years in 2011. If you are considering selling your business, you may avoid higher tax rates by closing the sale in 2010. You may also consider electing out of the installment method and recognizing the entire gain in 2010. It’s important that you do the calculations to make sure it makes sense in your situation. You should also consider selling and recognizing the gain on any other appreciated property. You also may consider paying out “C” corporation dividends prior to the end of the year. The current dividend rate (maximum 15%) is much more favorable than the dividend rate would be in 2011 if the rates are allowed to increase. In that case, dividends would be taxed at ordinary income rates, which would be as high as 39.6%. In this environment, it is extremely difficult to offer year-end tax planning guidance. Traditional general tax planning strategy is to defer (postpone) taxable income and capital losses and accelerate (pull into 2010) deductions. If the Bush tax cuts are allowed to expire, then the strategy would be reversed: you would accelerate taxable income into 2010 and defer above-the-line deductions into 2011. Above-the-line deductions include: IRA contributions, health savings account, self-employed health insurance, self-employment taxes and alimony, among others. Whether itemized deductions (medical expenses, real estate taxes, mortgage interest, charitable contributions, etc.) should be deferred into 2011 would be determined on a case-by-case basis. This is especially true if the itemized deduction phase-out provision returns for higher-income taxpayers. The following chart shows the ordinary income tax rates for this year and 2011 if the Bush tax cuts are not extended. The dividend tax rate (currently 0% for those in the 10 & 15% brackets and 15% for all others) would go to ordinary income rates (which could be as high as 39.6% for some taxpayers)! The long-term capital gain tax rate (currently 0% for those in the 10 & 15% tax brackets and 15% for all others;) would go to 10% for the 15% bracket and 20% for all others (different rates for qualified five-year gain property). There currently is no estate tax for 2010. The estate tax returns for 2011 with the exclusion amount (amount exempt from estate taxes) scheduled to be $1 million and a top tax rate of 55%. In 2009, the exclusion amount was $3.5 million and the top tax rate was 45%. I expect that the estate tax issue will be addressed very quickly by Congress, as five billionaires have died so far in 2010, including New York Yankees owner George Steinbrenner. The government has lost over $8 billion in estate taxes from these five families alone because of this. As you can see, with all this uncertainty surrounding the tax laws, it is difficult for businesses and individuals to do their year-end tax planning. While I expect that many of the Bush tax cuts will be extended, it may be well into 2011 before this gets resolved. At this point, my best advice is to pay close attention to news reports coming out of Washington, D.C. and stay in close touch with your CPA or tax preparer. U.S. Treasury Department Circular 230 Disclosure: To ensure compliance with requirements imposed by the IRS, we inform you that, unless expressly stated otherwise, any U.S. federal tax advice contained in this communication (including any attachments) is not intended or written to be used, and cannot be used, for the purpose of (i) avoiding penalties under the Internal Revenue Code or (ii) promoting, marketing or recommending to another party any transaction or matter addressed herein. This article is not intended to be comprehensive in nature and competent professional tax advice should be sought in determining the issues that impact your specific situation. Are Your Customers Dumping You? This is a surprisingly good parable put out by Microsoft illustrating the way most companies advertise to their customers and what the customers think about it. This is why customer engagement is so important. Is there someone in your company who needs a push? How about your family? How about you? Can You Be Too Anti-Social For Social Media? I put a cartoon in my social media book with the caption, “Burt is too anti-social for social media.” It turns out there are a few Burts in this world. One of my co-workers showed me a marketing writer’s screen on Facebook. I recognized her name. She writes a lot and her work appears in a number of blogs. She’s always seemed to have a good grasp of the marketing function. That’s what made the status update curious. This marketing guru essentially told everyone to sod off. She was far too important to be just anyone’s Facebook friend. Only a select few would be so honored. Everyone else should quit sending her friend requests because she’s going to reject them out of hand. She’s simply too busy for this tripe. Haven’t heard about QR codes? You will. 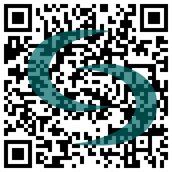 QR (quick read) codes are similar to bar codes, but easily readable by mobile phones. They also contain significantly more information than bar codes. It’s true that QR codes are not a magic pill that will rectify your call shortage. However, they do offer a way to leverage and extend your marketing in new ways. QR codes allow you to pack a lot of information into a small space that can be instantly read by a mobile device. QR apps are available today for Androids, iPhones, Blackberries, and other smart phones. They will basically work with any mobile device equipped with a camera, which accounts for roughly 70% of all phones sold. The ability to use a QR code to link to a web address offers the potential to promote a daily special. If you still have a yellow pages ad, put a QR code for the daily special. When call volume is light, you can make the daily special more lucrative. When call volume is heavy, reduce the offer or change it for major purchases. Adjust the offer based the weather or local events. Get creative. If you don’t want to change a webpage, make the QR code a text message. You reply with a text containing the daily special. The daily special can work with any permanent or semi-permanent advertising. This includes yellow pages, billboards and other outdoor advertising. Put one on the back of your truck for people stuck behind you at a traffic light. · Does anyone in your house suffer from allergies or asthma? If so, come see us at Booth 555. · Do you run out of hot water? If so, we can solve the problem. Come see us at Booth 555. · Are any rooms in your house too hot or cold when other rooms are comfortable? Don’t put up with it! Come see us at Booth 555 for a solution. · Are there seniors or infants in your home? Are they at risk of scalding? We have the safe solution at Booth 555. Because QR codes are easy for mobile devices to read, they can become an easy way to get your phone number into a prospect’s phone. Print the QR code for your phone number, above or below the number. The code serves as a form of speed dialing. To increase your local search rankings, include a QR code on your invoice with a link to your Google Places page. In the copy besides the QR code, ask people to go to the site and write a review. Dozens of free QR code generators have sprung up on the Internet. 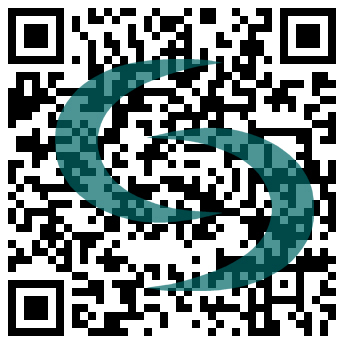 Simply enter the desired information and the QR code is created. Free QR code apps are also readily available for Androids, Blackberries, iPhones, and other smart phones. QR code usage is growing, but still at the novelty stage for most people. This can work to the advantage of the contractors who are early adopters. Put a QR code on your trucks or a billboard and see what happens. People who recognize it are likely to scan it because it is still a novelty. If you would rather sit back and wait, keep an eye out. If you start seeing QR codes in the newspaper and in your community, it’s time to reconsider. Recently, Albert Mohler, the president of a Baptist seminary declared yoga to be inconsistent with Christianity. According to an article in the Fort Worth Star-Telegram the guy wrote that Christian yoga practitioners "must either deny the reality of what yoga represents or fail to see the contradictions between their Christian commitments and their embrace of yoga." Maybe I'm not with it. I thought yoga was mostly people stretching themselves into contortions and trying to meditate away the pain of their awkward positions. I didn't think it had any more to do with religion than sitting by a serene lake and possibly thinking about God. Shows what I know. Apparently, it's also a surprise to a lot of people who practice something called "Christ Yoga" and millions more who simply like to stretch and contort their bodies. But it's probably most surprising to the Baptist pastors who are trying to attract new members and converts. Scratch the idea of winning over the yoga crowd, which is larger than the entire membership of the Southern Baptist Convention. I'm sure many agree with Mohler. Others may not. The point is that all of them are now painted with the same broad, brand brush. Actions like this may explain why two of the nation's three largest local Southern Baptist churches downplay the denominational brand. The pastors of these churches understand that local church brands are built on local relationships. While the big, denominational brand may (i.e., may) help legitimize the local church, it also can hurt the local church when someone like Mohler spouts off. In addition, promotion of the denominational brand promotes other local churches operating under the same brand name. Locally, I've been listening to a local air conditioning contractor attack another on the radio. He attacks the owner's accent and the business practices. I don't know much about either company's business practices, though the guy being attacked is a member of the Service Roundtable, which means I'm inclined to give him the benefit of the doubt. These are not comparative ads where one advertiser compares his features with the competition's. The ads are more like a political attack ad. They come across as mean. I don't know whether they're effective or not, but I suspect many people find them distasteful. So no harm, no foul to anyone else right? Well, the guy doing the attacking uses manufacturer co-op and hypes the manufacturer brand in all advertising. Thus, it's as though every contractor associated with the manufacturer's brand is participating in the ad campaign. They're painted with the same broad brand brush. The solution for contractors is the same used by the leading local churches. Don't play up the big national, denominational brand. Instead, emphasize your local brand and your local brand relationships. It's the only way to avoid being embarrassed by the brand. The Service Roundtable's business card is starting to look a little stale. Plus, our graphics designer cringes every time she looks at it. I'm tired of the grimaces. If ours is out of date, I'll bet yours could use an upgrade as well. And poor business cards cost sales. Two thirds of people won't buy from companies with bad business cards. A new survey has revealed that buying cheap business cards is a false economy - because they actually put off potential customers. Self-printed business cards or flimsy ones from low cost, low quality online design companies would discourage two thirds of potential buyers, according to the survey by www.fideliltyprint.co.uk. Fortunately, good business cards can help drive sales. Sarah, our graphics designer, pointed out the Vector Tuts blog to illustrate some great die-cut designs. As the guy who signs checks, my immediate knee jerk reaction when I see these cards is to grab onto my wallet. How much do they cost, I ask myself. It's the wrong question. I should ask how much they can help. Before I turned Sarah loose to come up with new designs, I stressed that I wanted a QR code on the back of the card. The QR code is a type of bar code, readable by smart phones like the iPhone, Android, and Blackberry (you might have to download an app). 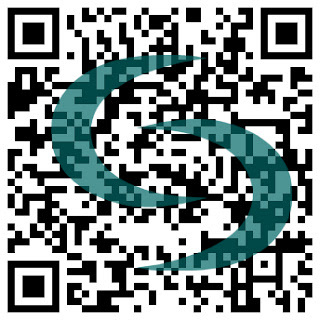 The QR codes we will use will take the user to a webpage about the Service Roundtable that will promote upcoming events, contain special offers, and other interesting information. We can change the webpage contents whenever we want while the URL remains constant. As we were discussing different business card designs, some seemed better for our members, some for prospects, and others for vendors and investors. Sarah asked the obvious question. Shouldn't we just create more than one card? Of course! Targeting our business cards increases their effectiveness. And even the most expensive business card is still cheap. Why not carry more than one? Is There a Hole In The Ozone Protocol? The Montreal Protocol has dealt a death blow to R22 equipment, right? Maybe not. “I just committed to purchasing the Nitrogen Charged R22 compatible condensing units,” proclaimed a contractor on the Service Roundtable. Are you a small business owner? Did you ever question why you are in that business? As in, "I went to college to become an accountant or I was destined to take over the company from my dad. But I sure wish I owned some hip, cool business like Google or Apple." Okay, we ALL wish we could own some hip, cool business like Google or Apple! But I bet you might have had that thought on a smaller scale. Maybe a motorcycle chop shop, a social media company or an advertising company. The thing is, you probably do have that company now. Let's watch and listen to Tom Peters explain it. By the way, consider this video as a recruitment tool to your particular industry.